In 2008 a group of women came foward with reports of abuse. They informed USA Gymnastics that their coach, Doug Boger, had abused a number of gymnasts at his Flairs gym in Pasadena, California in the 1970s and 1980s. They were determined to protect other gymnasts from a broken system that enabled predators to continue coaching and interacting with youth. Instead, they experienced uphill battles and roadblocks from USAG, and to this day their abuser still denies any wrongdoing. In 2016 a gymnast publicly came forward to report that a team doctor abused her during a “treatment.” This man had treated hundreds of young athletes over the course of his decades-long career at Michigan State University, several club gyms, and with Team USA. Parents, athletes, and coaches all trusted him. In January of 2018, during the trial against this predator, Larry Nassar, over 150 women courageously shared their victim impact statements, revealing difficult details many of them would have preferred to keep private. These women stepped forward as individuals and together became an army of Sister Survivors. 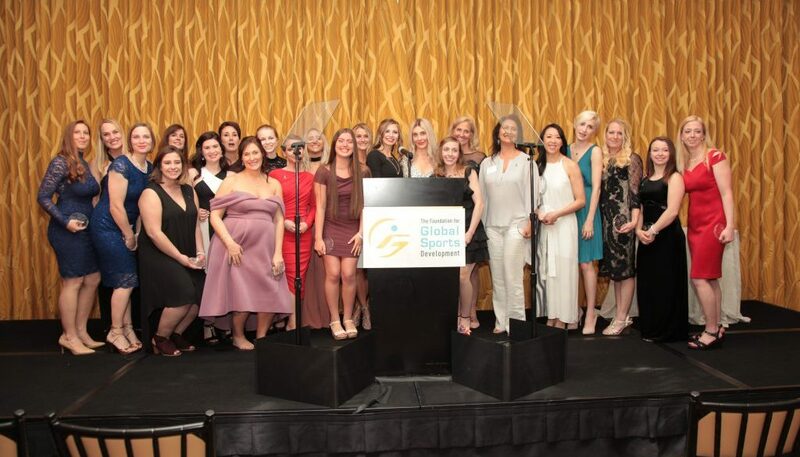 In April of 2018, we brought these two groups of women together and honored them with our Humanitarian Award. To us, these women are humanitarians. They are changemakers, and they have forever changed the face of sport for the better.